It’s no secret that I’m thrilled Birkenstocks are back. I’ll admit, I was skeptical at first, but just like in the 90’s, they grew on me and I caved. There’s really nothing not to love – the bulk of the sandal slims down the leg and if you’re car-less like me and walk everywhere, it’s basically the best thing ever. I suppose they’re still an inherently ugly sandal but there’s no arguing that they add character to your outfit. 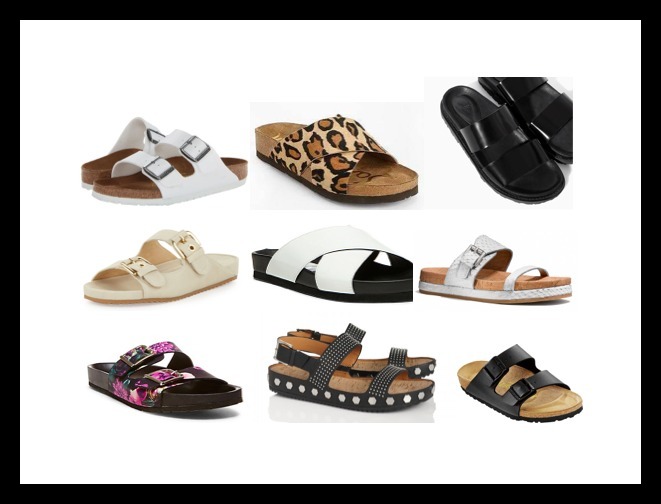 See below for some of my favorite (affordable) Birk-like sandals – click on the images for info.